The succeeding part of the sentence, et modo Christianum orbem maximâ parte moderator, is for some reason omitted. It seems most fitting that this simple act of adoration of the Real Presence of God, and not an act of violence or prowess in battle. Of course what was won by Divine blessing was to be preserved through victory on the Marchfeld at Dürnkrut, and in many battles thereafter, yet the goal of this battles was never further war and conquest. Rather it was the return of right order and peace, dramatically symbolized in the act of submission to the Crucifix required of the Princes of the Empire by Rudolf of Hapsburg at his coronation. 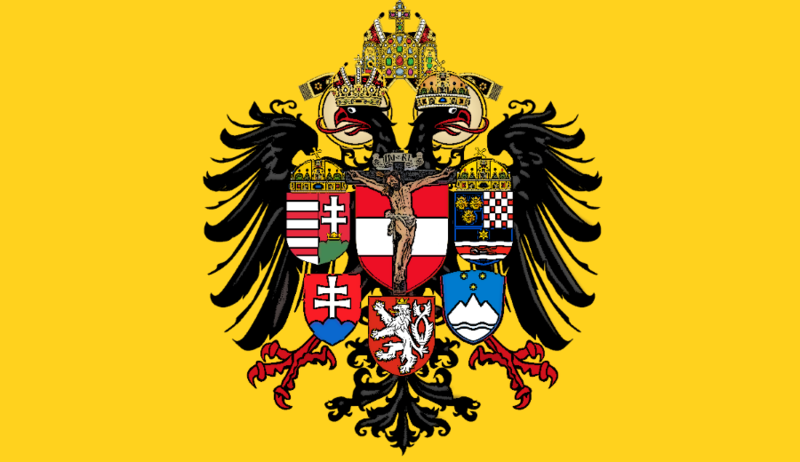 The Body of Christ crucified on the Cross and the Body of Christ on the Altar of Sacrifice are one and the same, and it is their devotion to Him which safeguarded the House of Austria through the ages of war, revolution, and terror. In the great processions the Holy Host was carried before the bareheaded Emperor not only as a banner but as a shield, leading him on the path of justice and righteousness, for so long as his eyes where firmly fixed on that Eucharistic Sun. 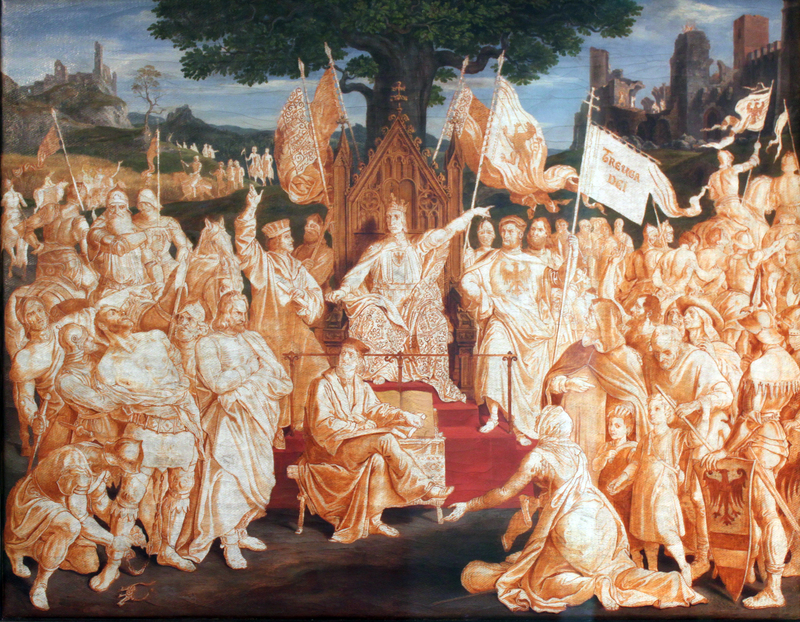 From the act of adoration of Rudolf I to the miraculous rescue of Holy Roman Emperor Maximilian, and the Eucharistic miracles which accompanied the exile of Blessed Karl, the House of Austria has pledged itself to a devotion to the Sacred Host and the Real Presence which even the lapsed Emperor Joseph II regarded with sincere veneration. And though indeed dark times followed devotion, and destruction followed the days of public veneration, the protection of Our Lord Jesus Christ never abandoned the family which had served Him, faithfully and in a few moments of human weakness less than faithfully, as defenders of Christendom. 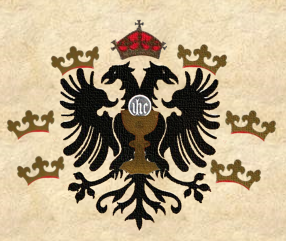 What worthier heraldry could be emblazoned as the insignia of a dignity which exists “not in the spoken name itself, but consists and culminates in glorious piety,” that piety which is the adoration of the King-Emperor of Heaven and Earth and of all that is?